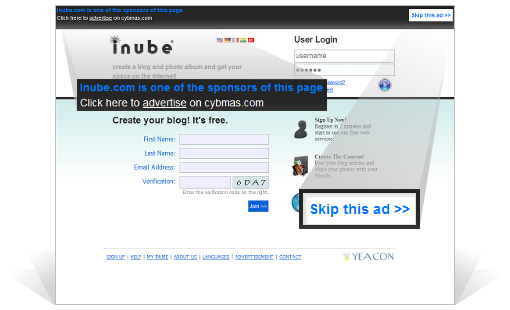 Cybmas is an online advertising company for both advertisers and website owners. At the moment, our main product is Full Page Ads. A full page ad is an ad type that gives the advertiser direct traffic. There is no need for banners, links and clicks! If a visitor click an internal link on a publisher website, he/she will see your full page in the next page. At the top of the site there is a link "Skip Ads" to continue surfing on publisher. It's completely an ultimate way of promoting your website. Click here to see a "Full Page Ads" demo!